Francesca began her career as a cultural administrator and producer of theatre, then moved on to television production, before joining Telefilm Canada in 2006, where she is now Director of National Promotions and Communications. 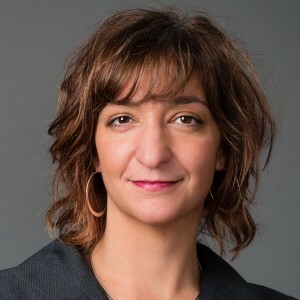 Francesca joined Telefilm in 2006 as the Deputy Director, English Market for the Canadian Television Fund (now Canada Media Fund), by 2008 she was promoted to Director of that team and is now the Director of National Promotions and Communications. Francesca has always been a fan of Canadian film and television and she has a great ability to build strong relationships with clients. Her focus over the next few years is to create awareness around Canadian talent and Canadian content with the general public. She wants to encourage more people to become fans and consumers of Canadian content. Francesca began her career as a cultural administrator and producer of theatre where she was required to manage both production and promotion of the plays. She then moved on to television production working on big budget TV series and MOWs produced for Alliance Atlantis, among other companies. She has a B.A in Fine Arts from York University where she focused on film studies.